Wrongful dismissal is a broad term for a termination that does not accord with the law. A dismissal may be wrongful if an employer terminates an employee “without cause” and does not pay them a fair or reasonable termination package. Have You Been Wrongfully Dismissed? If you are faced with what you think may be a “wrongful termination” — do not quit – do not take any action before consulting with a lawyer. An experienced lawyer in the area of Employment law will be able to guide you through the process of a wrongful termination to ensure that you take all the necessary actions to protect your rights and to ensure that the best possible situation will result. In many instances an experienced Employment lawyer will be able to prevent what may become a wrongful termination. If you suspect that you have been or may be wrongfully terminated call KCY at LAW and arrange a consultation today with Kathy Chittley-Young – she has the experience necessary to protect your best interests and stand up for your rights. We handle wrongful dismissal cases on a routine basis and our success rate in getting the rightful dues to those affected by wrongful dismissal speaks for itself. We work with our clients to prepare a plan for negotiations, failing which we will take the matter to litigation and even to trial if the need so arises. Contact Kathy Chittley-Young today about your wrongful dismissal case. Simply fill out the “REQUEST CONSULTATION” form or call us at (905) 639-0999. Please fill out the form below and a member of our team will get back to you as soon as possible. I am grateful to have worked with Kathy Chittley-Young after my dismissal from my job. Kathy is very professional, she was thorough, an effective communicator, and very timely in all her responses and correspondence. During my times of doubt and impatience, Kathy was reassuring and gently encouraged perseverance on my part which in the end worked to my benefit. Additionally, the KCY at Law office was a pleasure to work with and I felt comfortable reaching out anytime with my questions. I would without hesitation recommend the services of Kathy Chittley-Young. I was referred to Kathy Chittley-Young by a business colleague to assist me in handling an employment matter. Kathy was very clear in her explanations of the law as it applied to my case and in explaining my options. Ultimately it was my decision on the direction we took. Follow up was complete, timely and very thorough. Kathy is a superb writer and I was very impressed at how she was able to sort through the ‘stuff’ and get to the point with the other side. We were successful in securing a reasonable severance/exit package. I would highly recommend Kathy as an employment lawyer. When I was unexpectedly terminated, I had no idea where to turn. My employer told me the reason was ‘a business decision’ and cited ’restructuring‘. They told me I had been an exemplary employee. So I went and saw Kathy at KCY. She walked me through the contract I had signed with my employer and explained how it related to both ESA and the common law. I proceeded with my case and Kathy and her team worked to obtain a substantially larger settlement for me. After being wrongfully dismissed from my last position, I did not hesitate to contact KCY at LAW to represent my interests. 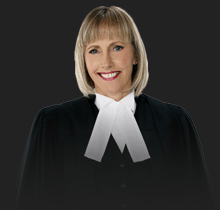 Throughout the litigation Kathy took the care to closely review the details of my case, educate me on employment law, and explain my options at every stage. Ms. Chittley-Young used a concentrated proactive approach in an effort to expedite proceedings and minimize legal costs. Thank you very much for getting me through a very stressful time. There were a number of times I was willing to give up and throw in the towel but your dedication and willingness to stand up for me was a great sense of strength for me. The process did fully overwhelm me. I was stymied that anyone would have to go through this ordeal. You certainly made things a lot easier to deal with. Kathy’s ability to clearly map out the legal process, act as a true advocate and strategically negotiate the best settlement possible are only a few of the tremendous services KCY at LAW provided. Kathy and her team are always professional and very personable. They are always prepared to listen to your concerns and questions, leaving you with a tremendous sense of confidence and trust in representing your case as well as avoiding costly litigation. As a previous client, Kathy kindly helped review my employment offer and suggested some important areas to negotiate. My new employer accepted those terms immediately and I am now in a much better position should my employment be terminated without cause. I would recommend Kathy to anyone that needs legal advice or assistance regarding an employment matter. Thank you so much Kathy!